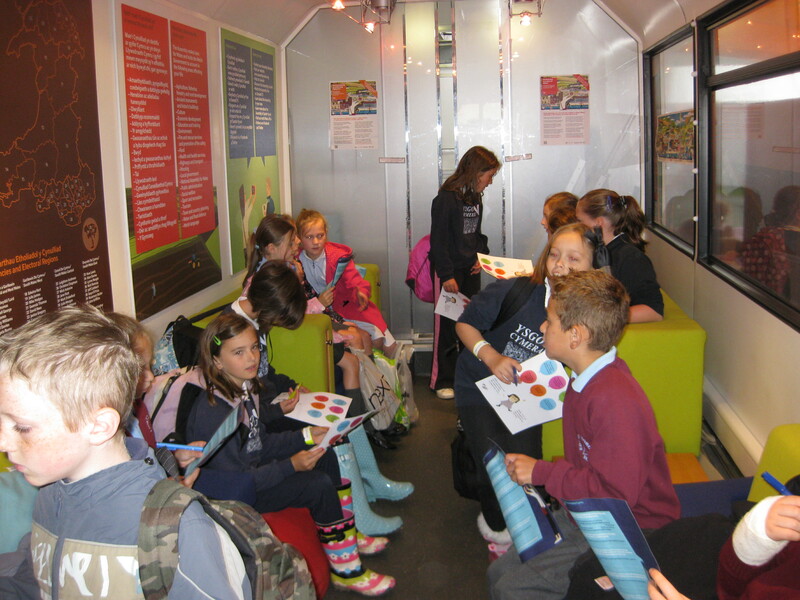 The International Music Festival at Llangollen, North Wales was the next stop for the Assembly Outreach Bus. This event has been staged every summer since 1947 and continues to be a platform for many competitors from across the globe to showcase their cultures and musical heritage. 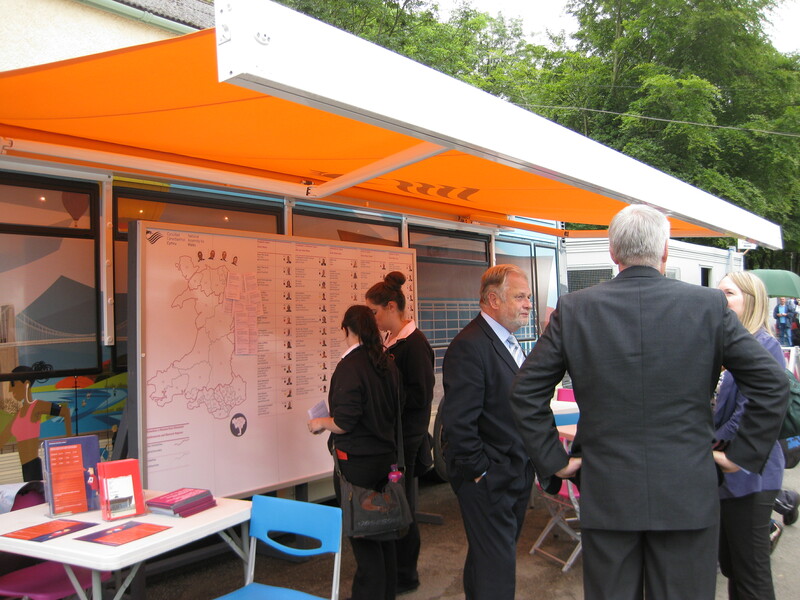 We welcomed over 1000 people to the bus during the festival, many of whom completed the quiz, and many other activities we had on offer such as the Member Wall “have your say” post cards, relating to issues affecting their constituency or region in Wales. 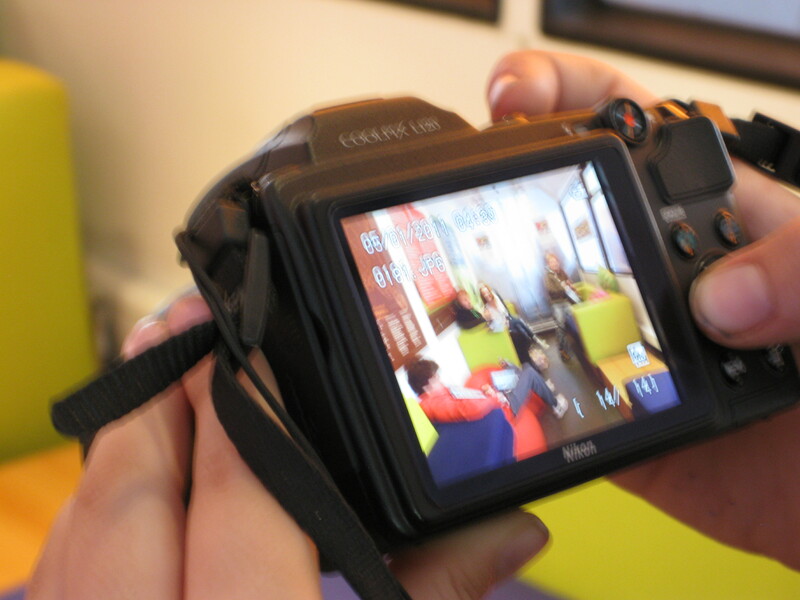 We were pleased to hear that many of the school children from Wales had visited the Senedd and learnt about the democratic process in Wales, some were even in the process of deciding which pictures to submit to the Presiding Officers’ Photography Competition “Democracy in Action in Wales”. The First Minister also paid a visit to the bus on Thursday. The heavy rain that was forecast for the end of the week did arrive on Friday which left the main car park closed due to flooding. This affected the turn out to the Eisteddfod although the new awning on the bus did keep everyone relatively dry! I’m sure you’ll agree from the pictures it looks quite impressive and ensures we stand out. On Saturday we had a few visits from Assembly Members that represented the surrounding constituencies; Lesley Griffiths AM and Ken Skates AM; we informed them that many of their constituents had filled in the post cards on the Member Wall and that we would be sending feedback to them shortly after returning to Cardiff Bay. Aled Roberts AM also dropped by to take a look at the bus at the end of the day. The next stop for the bus will be the Bridgend Show 13 – 15 July.